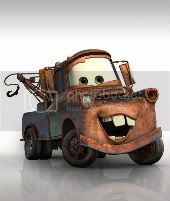 In the follow-up to the successful 2006 Disney CGI flick, “Cars 2” seems to focus more on honky tonk tow truck Mater (voiced by Larry the Cable Guy) over the first film’s star racecar, Lightening McQueen (Owen Wilson). Lightening travels to Europe for the World Grand Prix, and his trusty friend Mater follows — and feels like a fish out of water (… or whatever the car version of that is) in all of the countries they visit. Until, a famous car spy named Finn McMissile (Michael Caine) asks Mater to join him on a spy mission. Mater has trouble juggling his new spy duties and being a supportive friend to Lightening. It’s interesting that this film about cars takes on an espionage theme, but hey, I’ll go with it. The movie looks cute and the animation is pretty impressive — as is the cast. There’s bound to be a voice you know: Emily Mortimer, Bonnie Hunt, Cheech Marin, Tony Shalhoub, Joe Mantegna, Michael Keaton, John Turturro, John Ratzenberger, etc. Gentlemen (and ladies and kids, too), start your engines — “Cars 2” races into theaters on June 24. My 2 year-old nephew is the biggest fan of “CARS” and has been asking when he can see the second so Im sure Ill be taking him opening weekend to see this, it looks cute. Cars is the only Pixar movie I have never seen.